Need a little double-decker inspiration? You’ve come to the right place. Make lunchtime double the fun with these delicious decked-out club sandwiches. 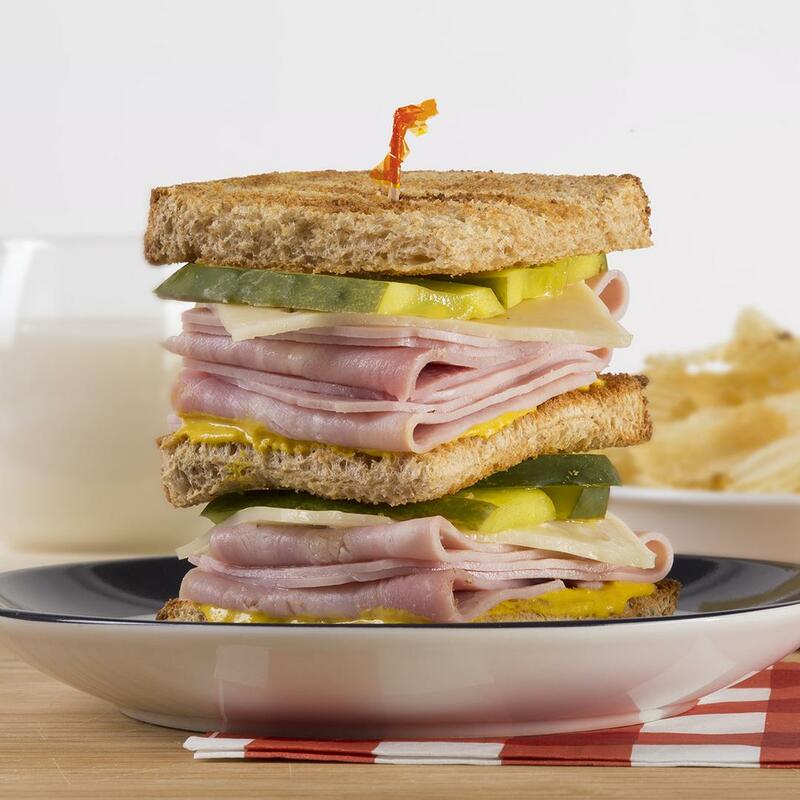 Spread the mustard on a piece of toasted bread and top with sliced pickles, swiss cheese and Gwaltney Ham. Top the layer with another slice of toast with mustard spread and repeat Step 1. Close the sandwich with another mustard-slathered slice of toast. Place toothpicks in 4 corners of sandwich to hold together.